In Morocco, populist leaders on the right fight the UN and Algeria, while they learned the use the language of the working class on the left side. populist politics is indeed not a recent aspect of the international system. Populism is rather a culmination of the effects of various socio-economic conditions in international history, and more specifically a reaction to various forms of colonialisms in the case of peripheries, and a response to the global crisis caused by neoliberalism, although ironically, their causal relationship lies in the fact that neoliberal policies are implemented by populist governments. In Morocco for instance, the price of implementing neoliberal policies since the colonial period was borne by the laboring classes, as well as people standing in the lowest parts of the social pyramid. 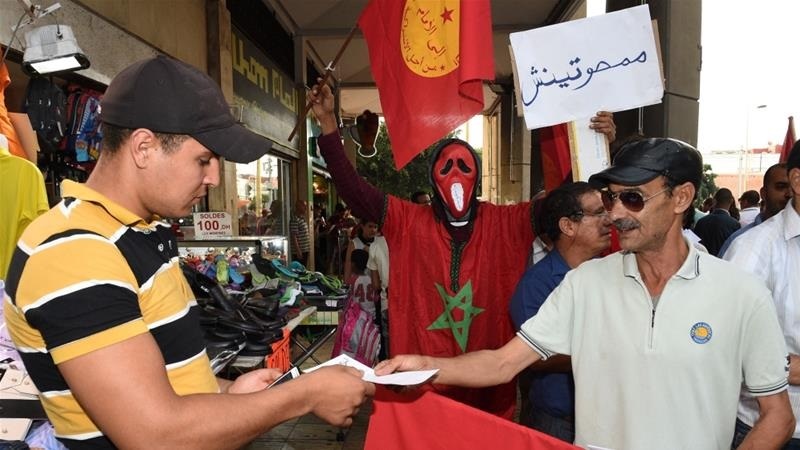 Whilst populist governments in Morocco, such as the PJD, pose as the saviours from neoliberalism, the white knights of the working classes, they still do not hesitate to reinforce harsh austerity measures, thus pushing the very people they claim to help further down the poverty line. Populism, in Morocco for instance has two main characteristics: (1) a separation of the political and social space into two conflicting, separate spheres; (2) the construction of two conflicting ideologies, wherein one is seen as a threat, an antithesis to the other ideology presenting itself in the shape of ‘authenticity’. In Morocco, the government’s right-wing populism, unlike that of Britain, does not exemplify the ‘enemy’ in migrants, refugees and minority ethnic groups. Rather their notion of the ‘enemy’ is constructed around anyone who questions the sovereignty of Morocco over Western Sahara – using the government’s words, anyone who ‘threatens the territorial integrity of the Moroccan Kingdom’. This includes Ban Ki Moon, previous Secretary-General of the United Nations, after he has made the comment about the occupation of Western Sahara and the subsequent diplomatic rift between Morocco and the UN following the use of the word ‘occupation’. Other enemies are different European countries unwilling to carry on trade agreements with Morocco because of the inclusion of the self-determined disputed territory in the agreements nad Moroccan intellectuals; activists going against the mainstream arguments of sovereignty and finally Algeria. This country particularly stands out in Moroccan politics, media and Moroccan conscience, as the imagined neighbouring enemy. It involves positioning victims as a group of defenders of national identity versus the enemy, an ally of Algeria and the Polisario, who seeks to create further instability in the region. National identity holds a crucial place in Moroccan (right-wing) populism, thus excluding any notion of class from the categories of victim and enemy. Populism in Morocco came back to the forefront of the political scene after the demise of the 20th February movement, and the subsequent referendum of constitutional amendments held in July 2011. The new constitution revived the power of political parties in the cabinet, and allowed them to stand as more viable alternative against their traditional rivals. The 20th February movement called for radical change and a new political class that the average Moroccan citizen can relate to. Meanwhile parties seemed to be taking up that role, addressing the laboring classes in their own language and seemingly dealing with their concerns, including political parties which have been historically dominated by the traditional ruling elites. Therefore, the language of the working classes becomes the lingua franca of populism. The hegemonising force of neoliberalism is presented as an opportunity that provides stability and development, and the line between different socio-economic classes becomes unclear as the bureaucratic elite uses the language of the working class. It is indeed difficult to predict whether the forces of neoliberal populism or populist neoliberalism are gaining ground in Morocco. Nevertheless, versions and concepts might differ, but the purpose remains static, the political expediency of the state.